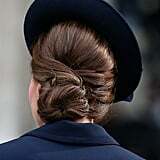 Have You Noticed That Kate Middleton Always Wears This 1 Hairstyle? 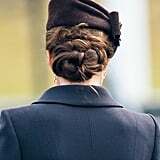 Few things in life are more perfect than Kate Middleton's hair. 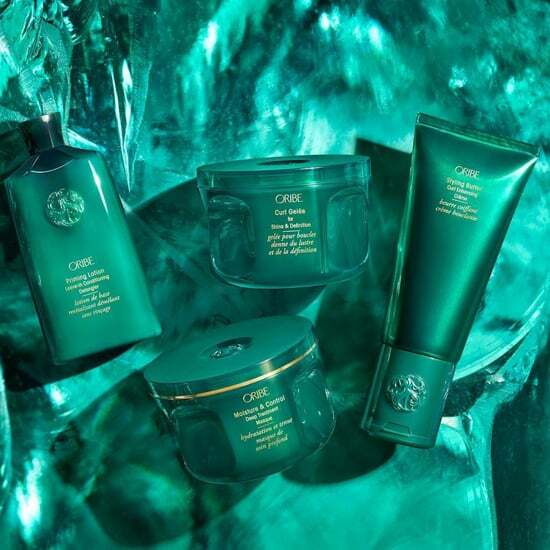 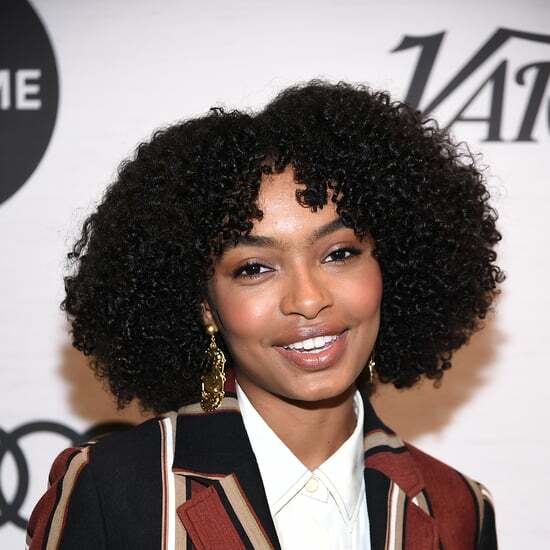 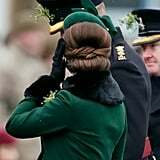 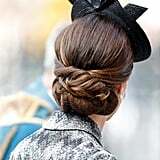 It's not like it's full of secrets or anything, but there is one thing about her hairstyles you may not have noticed during her royal duties: it's always a chignon. 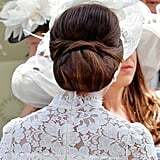 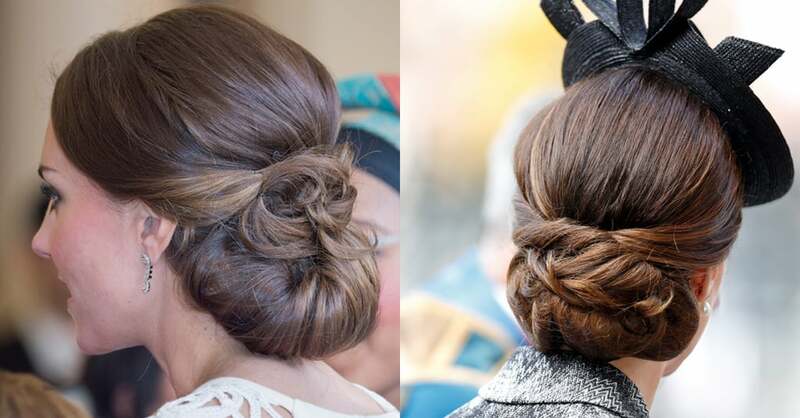 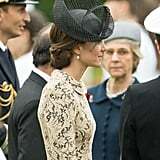 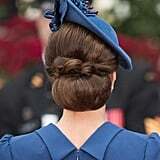 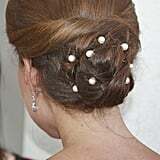 Not every chignon is the same — the duchess knows how to add accessories or play with texture to switch up the look — but sticking to this classic style keeps Middleton from worrying about the wind fussing with her blowout, and it also allows her to wear hats and fascinators for events like the Royal Ascot. 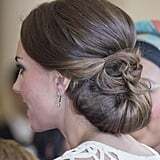 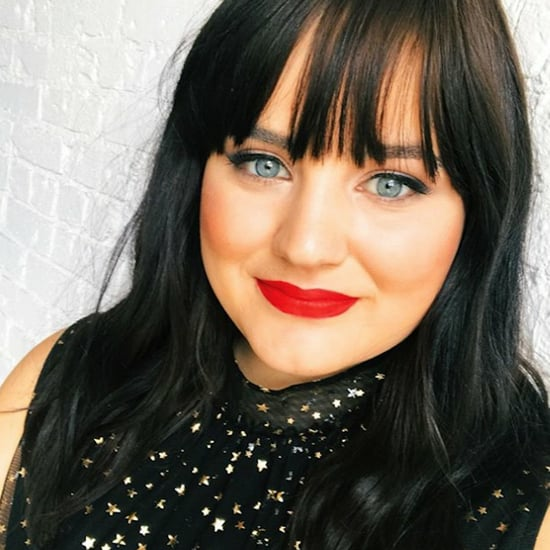 As a seasoned pro, she does have tips and tricks up her sleeve, like using a trusty old hairnet to keep all those flyaways in place. 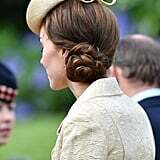 Ahead, get a closer look at all the times Middleton's chignon stole the show.